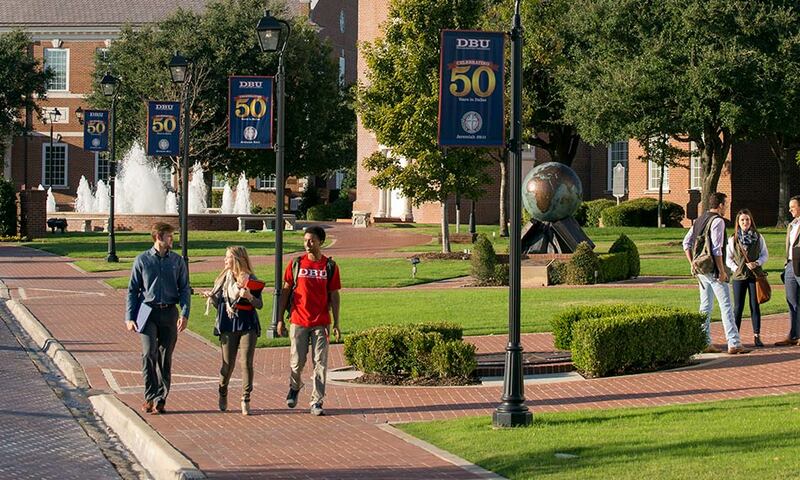 DBU was ranked #35 by U.S. News & World Report Best Colleges in Regional Universities (West) in 2014 and #1 Safest College in the state of Texas (Niche). Dallas Baptist University is accredited by the Southern Association of Colleges and Schools Commission on Colleges to award associate, bachelor’s, master’s, and doctoral degrees. Want to hear more about Dallas Baptist University? Dallas Baptist offers a 13:1 student/faculty ratio and the ability to choose from 71 majors on the undergraduate level, 29 master’s degree programs, 55 accelerated master’s degree programs, 62 dual degree programs, and 2 doctoral programs. Click here to browse academic programs at Dallas Baptist University. Financial Assistance: Some scholarships may be available based on merit and financial need. *Freshmen students applying to Dallas Baptist may be accepted with SAT score of 500 in critical reading and writing to meet English requirement; students do not have to take both exams.